I've posted a handful of interviews on Existential Ennui over the years – with Jeremy Duns, Christopher Nicole, Jeff Lindsay and Anthony Price – and I've hosted a further handful of guest posts; but I've never combined the two and hosted a guest post which is also an author interview. In a first for Existential Ennui, then, I'm immensely pleased to present a guest post by Paul Simpson (of Sci-Fi Bulletin fame; Paul was responsible for another Existential Ennui guest post back in 2011 on the Big Finish Sherlock Holmes audio plays): a brand new interview with bestselling crime and thriller writer Jeffery Deaver. It's a brief(ish) but illuminating chat, not merely for those looking for insights into Deaver's Lincoln Rhyme series especially, but for anyone interested in the wider process, in how writers write; Deaver is forthcoming on where he gets his ideas (at least some of them), how and why he maintains an emotional distance when writing, the expectations of his readers – and his expectations of them in return – and how he's settled into a rhythm with Rhyme. 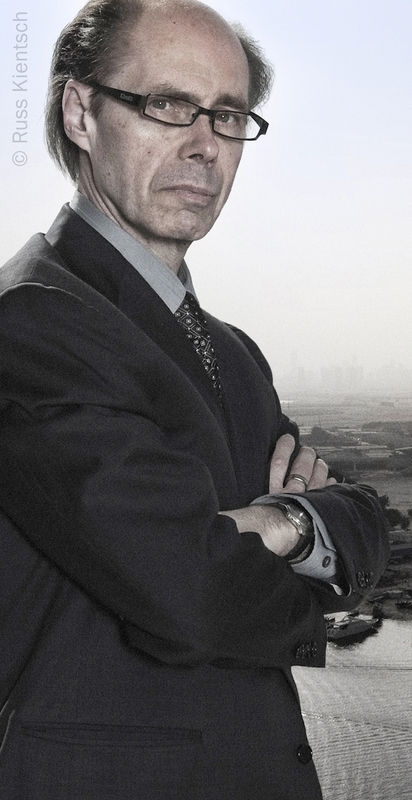 JEFFERY DEAVER: In theory, yes; my theory is to alternate books and characters and Kathryn's turn had come around. However I was getting some information from fans saying they were curious about certain plot elements that I had built into the [Lincoln Rhyme] books, and I thought it was probably time to resolve those. The story sort of presented itself. I had plenty of ideas; inspiration is not really a problem for me. I thought as long as it was there, I would write it. 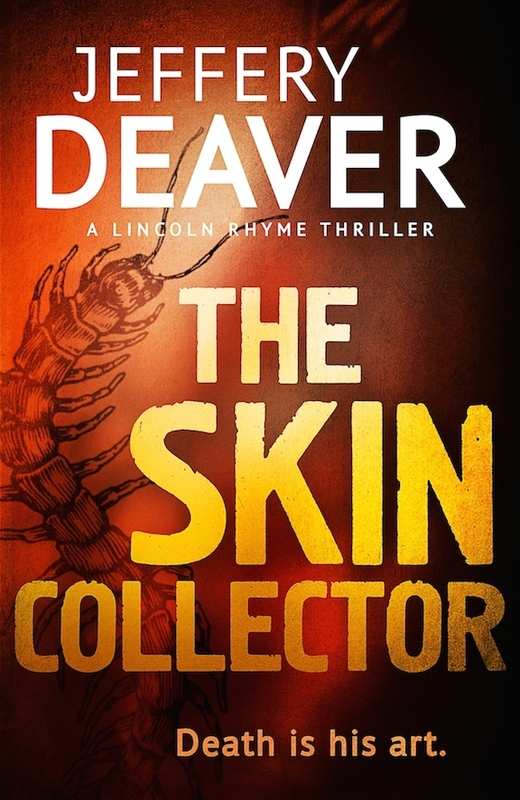 Fans tend to like Lincoln Rhyme of all my characters the best, so out came The Skin Collector. Kathryn is under way; I was actually writing it for a couple of hours this morning before I went to a signing at Waterstones. You've taken inspiration for your stories from real crimes; is there any specific thing that inspired this one? A waitress. I knew I wanted to write a true sequel to The Bone Collector, I wanted the themes that I intentionally left open in The Bone Collector, and some characters I originally left open in The Bone Collector to come back. 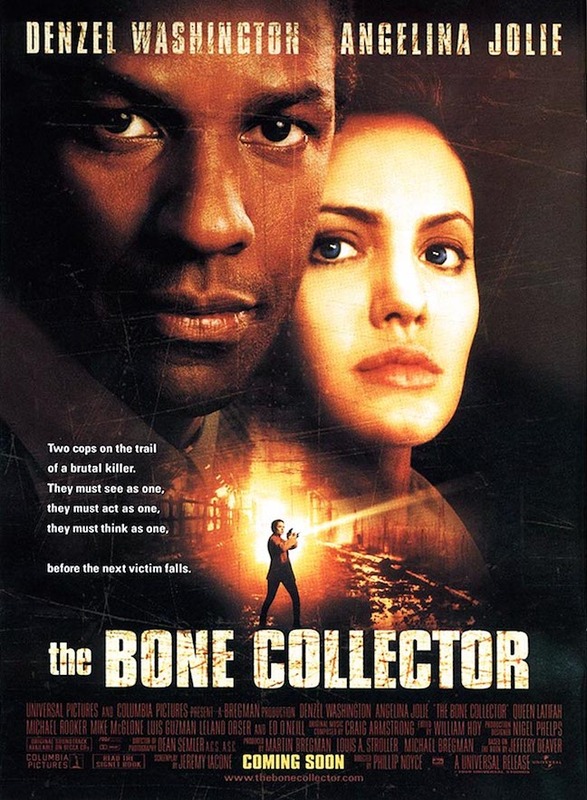 I was not quite sure how to do it, and I wanted a theme that echoed The Bone Collector. I remain a bit like a sponge. I was having lunch with my assistant, and a waitress came up to us. We knew her – she's a very charming young lady – and she had a tattoo on her bicep with a rather cryptic message in some Asian characters that I was not familiar with. Interesting... That gave me the idea: "Tattoo: message on victims". I got involved with the tattoo world: I have to learn a little bit about that as Lincoln Rhyme has to put together the message. The next step then, the logical extension of that idea was "rather than using ink he uses poison". Then I sat down and wrote the book. There was a little more to it than that, I will admit! When you're researching something like the tattoo world, do you keep a note of things which may assist with later projects, or do they go to the back of your mind and percolate? Probably both. I tend not to write things ripped from the headlines. For instance, my book of last year, The Kill Room, was inspired in large part by the drone killing by the CIA of Anwar al-Awlaki, a US citizen, who had fled the country and was preaching jihad from Yemen. He was killed in a drone strike along with his associate, also an American citizen. That happened some years ago, and I always had it in mind that I would write a political book about some of the moral issues, and some of the technical issues, of a government extra-judicially taking the life of someone in a quasi-combat circumstance. We are not at war with Yemen, but it could be argued that we are at war with al-Qaeda, and he was an al-Qaeda affiliate, so there was some legitimacy to that. But it's not my job to make a point; my job is simply to ask the question, to make the book more resonant. That came from the headlines certainly. So to answer your question, some yes, and some no. In every book there is a gross moment, perhaps something which Amelia finds when walking the room; do you ever find, like Stephen King, that you gross yourself out? Or in terms of character, a revelation of "evil"? In a more general sense then. First of all, I'm extremely unemotional when I write. I like Wordsworth's comment that poetry is emotion but it's emotion recollected in tranquility. Your heart really cannot be too invested in the story because you need to keep a distant view, a dispassionate view, so that the readers will be engaged. It's my job to create scenarios that will scare the hell out of my readers, and will shock them, but I need to be pretty aloof from that so I can have my hand on the control. It's like when a pilot can see a thunderstorm; he doesn't care about them. He's flown through a thousand of them. There's no danger – even though we are terrified in the back. he just has to be a bit more vigilant, that's all. I take that approach so no, I'm fairly detached when I write the books, and I'm very suspicious of scenes that I write and feel emotional about. I tend not to put those in. I think that's inartful, a weakness on my part, to be too engaged in the story. So you're almost a conduit for the story in that respect? Exactly. I might say more of a craftsperson, a builder, a joiner. That's the analogy I like to use. The Lincoln and Kathryn books deal to an extent with the same sorts of ideas, although obviously the approaches are very different. Are there stories that you find you would only tell as Lincoln or Kathyrn, or you'd have to write as a short story? Exactly – a very good observation. The books which tend to be more scientific in nature tend to be Lincoln's story, because he's of course a scientific individual. The books which are purely psychological, or in which the psychology of evil or psychology of the crimes takes precedence over the technical aspects, those would be Kathryn books. Of course you can never divorce either of those from any type of crime now, but psychology is marginalised in Lincoln, and forensics is marginalised in Kathryn. The book which I'm working on now – the Kathryn book which I don't want to talk about – there's very little scientific information. There will be fingerprints, there will be fibre evidence, but relatively little of that. Mostly it's the mind of the villain that Kathryn has to get into. The new Lincoln book which I'm working on for 2016, there will be some sick and twisted psychology on the part of the bad guy but basically it's really about a number of what I find quite interesting, and what I hope the readers find utterly terrifying, aspects of technology. That's what Lincoln has to deal with to solve the crime. As far as short stories go, they are appropriate when there is basically a twist – usually one surprise, maybe two surprises – which take precedence over the characters so that the surprise at the ending can be revealed in the fact that our hero, the person we've been in love with the whole time, is utterly despicable. I can't get away with that in a novel; some authors do, but I don't like to do that. I want my readers to like the characters that I create and to have a connection with them. In a short story, forty pages, who cares? I'm not going to be spending any more time with this person. They can be utterly reprehensible. Lincoln is changing: he's worked with Kathryn, he had the operation at the end of The Kill Room. How much of that change derives from the people around him, and how much of it is through what's happening physically? He certainly has mellowed a bit. People like his curmudgeonliness but he is a bit less edgy than he was in the early books. For one thing he has regained some facility, some physical mobility, which is about as far as the state of the art medicines can go now; there can be no miracles here. The fact is, he has also had some really interesting cases, and he is never so happy as when he's dealing with an intractable criminal situation. What I find is I've settled into a rhythm with Lincoln where I have to prove him less and less. He's less the centrepiece than he is a traditional Sam Spade detective: we love Sam Spade's personality, we love Philip Marlowe's personality in the Raymond Chandler novels, John D. MacDonald has his character of course, but we focus a little less on the arc of those characters. Now that I know that Lincoln is going to be a long time character, I'm a little less worried about that. I'll make him real: there will be tragedies. He and Amelia may not be together forever; there certainly is that possibility. Amelia's ex-boyfriend will be returning in one of the future books, and that stirs the pot quite a bit. But I've settled him into a certain place physically and I'm happy to really concentrate on getting a long series of knockdown, drag out thrillers. Many years ago I read the Nero Wolfe books, and occasionally there's a Nero Wolfe/Archie Goodwin vibe to Lincoln and Amelia which makes me recall William "Cannon" Conrad as Nero. Do you have anyone in mind now when you're thinking of Lincoln, or is he such a fully formed character in your mind that you know who he is? It's helpful for authors to envision an actor, so long before the book was bought by Universal Studios, I saw Harrison Ford, the physical archetype of Harrison Ford. Not necessarily his personality, as that does change from movie to movie. The personality was, and always has been, Jeremy Brett from the Granada TV Sherlock Holmes series, who was cranky, impatient, brilliant; he did, in that series, use cocaine – Lincoln drinks too much – he has a temper, and does forge a difficult and complex relationship with individuals round about him. So that's the personality I continue to look back at. I imagined a younger Kate Mulgrew perhaps? I don't know her, but I will look her up. Thanks to Ellie Cheele and Kerry Hood for their assistance in arranging this interview at short notice. Great interview. I have only read Bone Collector (and seen the movie, long ago) but I hope to read more by Deaver.